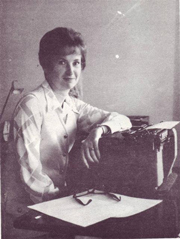 A columnist for the Kitsap County Herald at the time, Joan Carson published stories of early North Kitsap County in her account Tall Timber and The Tide (1971). Her book, which includes many historic photographs, focuses on the families who settled Port Gamble, Kingston, Suquamish, Hansville, Vinland, Poulsbo, Breidablik, Pearson, Keyport, and Lemolo. 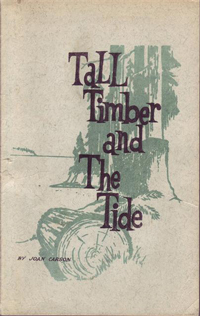 A copy of Tall Timber and The Tide is available in the Bainbridge Public Library's collection of local authors.